There are many factors that can lead to stucco damage including moisture related conditions, storm damage, and damages from impact of tools or people or even animals. And, of course, there is also the issue of your house settling and causing the stucco walls to crack. Mesa Painting Pros can patch up your exterior walls (on the house or on your property borders). We do this for a living and we make it look easy. And great! Like new. Like it never happened. Lots of beautiful color and texture options! 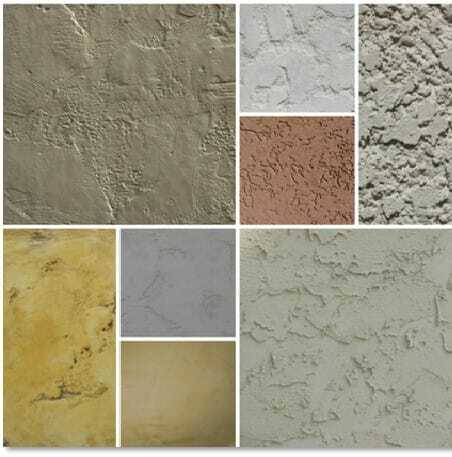 Stucco is a durable, attractive, and weather-resistant wall covering made from a mix of sand, cement, lime and water. It can be applied over solid concrete shear walls, concrete block, brick or stone or over plywood substrates with the use of wire lath. The improved resale value of the home alone can make the stucco repair and exterior painting project worth the investment. Give us a call and we will come to your home and give you a free quote and then schedule a time to get started. Let's work together to make your home look great again! House Painters and Stucco Contractors You Can Trust! Don't take chances working with anyone but the best when it comes to painting the outside of your home, painting the inside of your home, or repairing your stucco walls. A nice exterior makeover adds beauty and says your home is well cared for and in good condition. A fresh coat of paint also increases the value of your home. Don't delay.